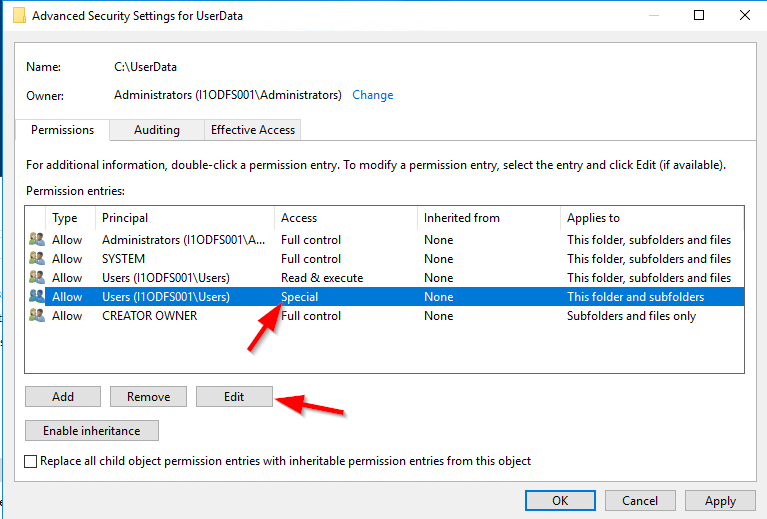 Itopia deploys session collections with user profile disks configured to hold all of the users’ data in them. 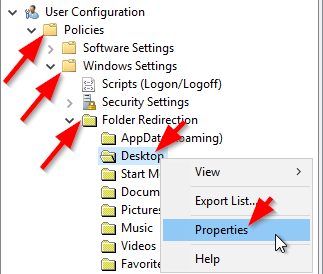 There are issues at the moment with user profile disks, however, such as being unable to index outlook correctly. 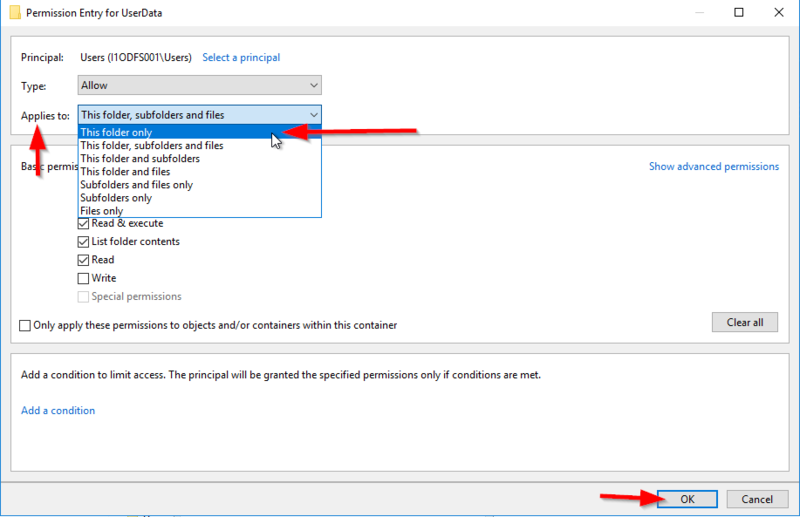 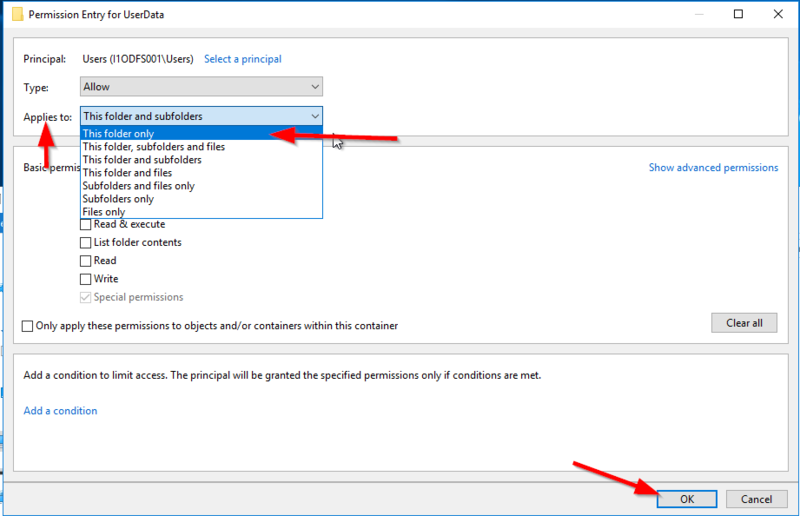 If you choose to create a deployment without the user profile disk option, some other manner of profile/folder redirection will need to be used in order keep users data with them when logging into multiple session hosts. 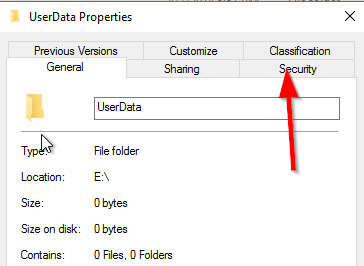 This can be achieved by creating a group policy for folder redirection and setting up a folder which will house all of the user data. 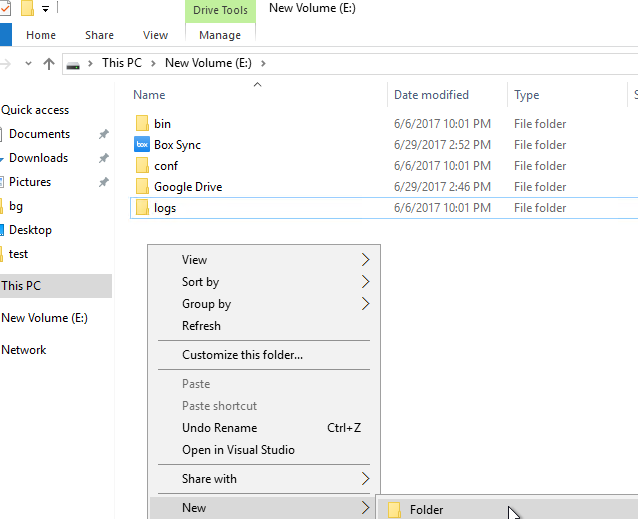 In the following article, you will be shown how you can accomplish just that. 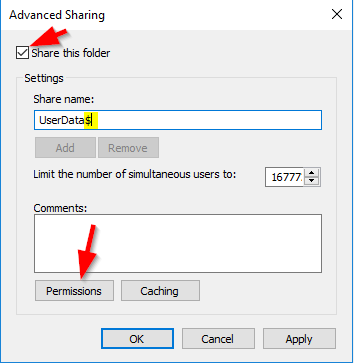 The first step to being able to redirect user folders is to create a share on the network where your user's data will be saved. 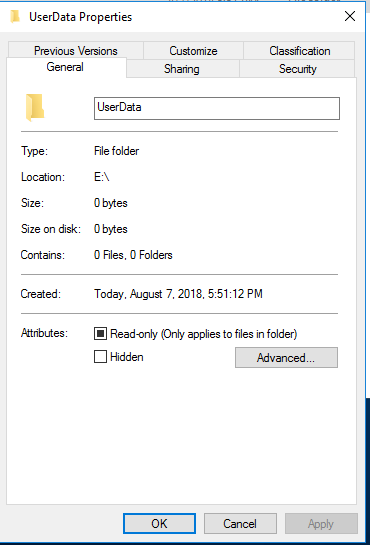 In order to accomplish this go ahead and create a folder on your file server or where ever you want to house this data. 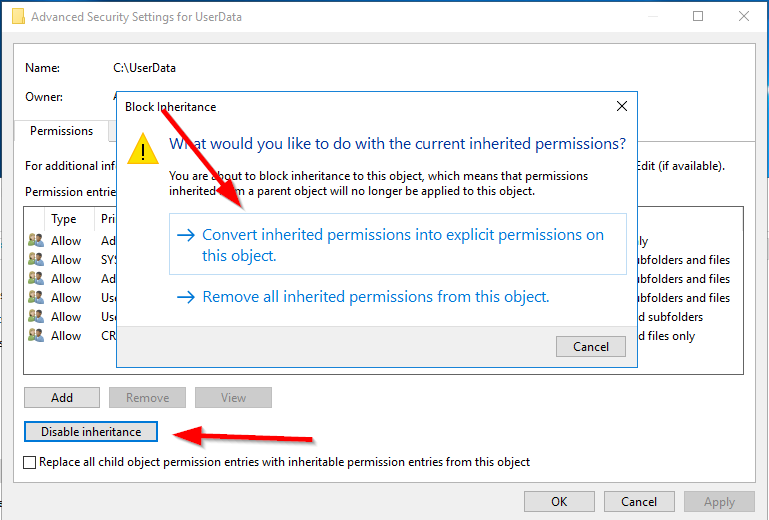 For this example, I will create a folder on the root of the Data disk on my file server and call it "UserData"
Once in the Advanced security settings section click on the Disable Inheritance button and in the Block Inheritance window that comes up click on "Convert inherited permissions into explicit permissions on this object." 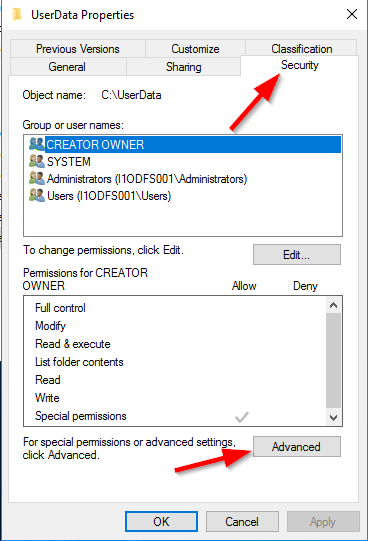 Once you have made the change to both entries you'll notice that the local Users group will have merged and will have "Special" access. 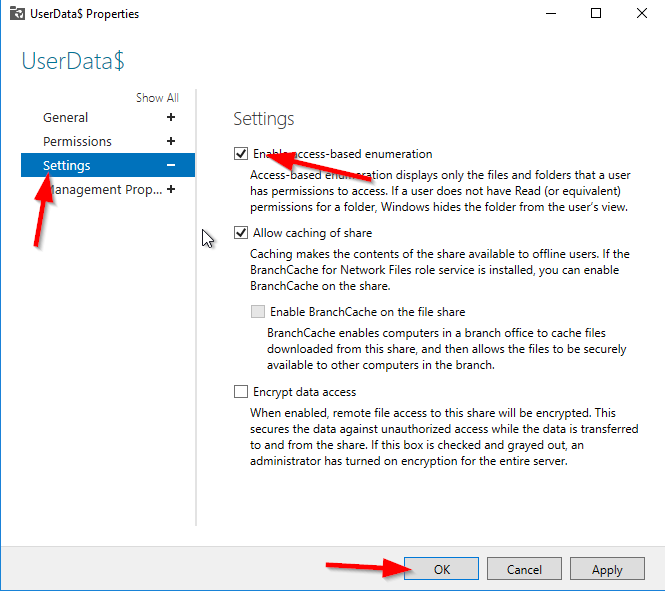 Click OK to finish the security settings portion of this process. 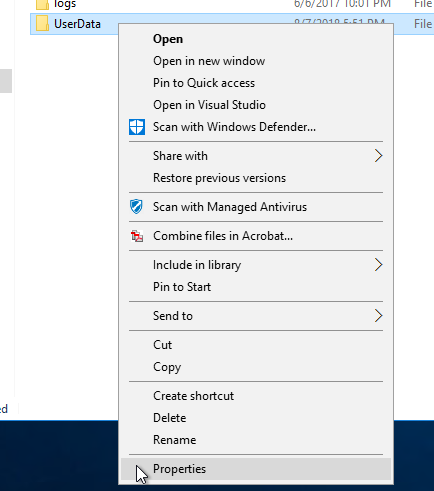 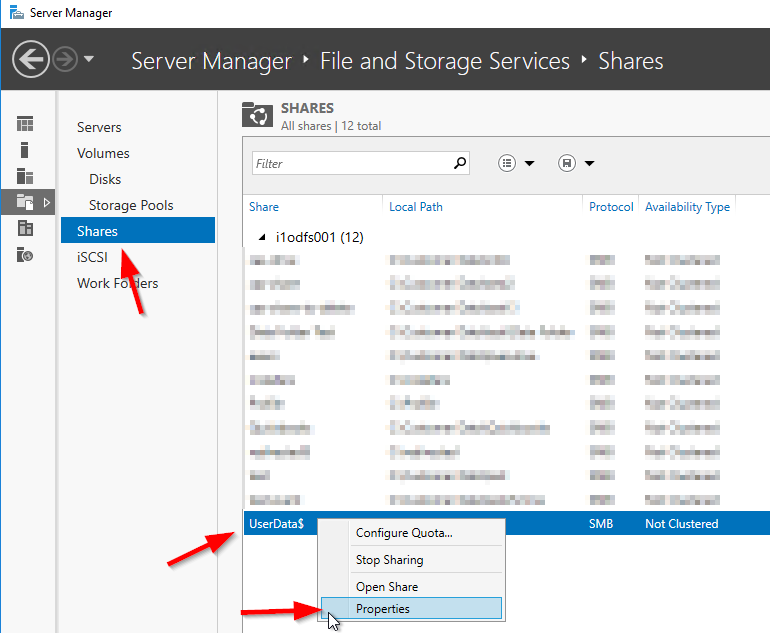 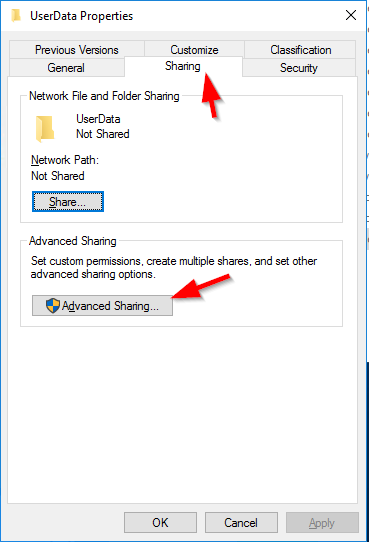 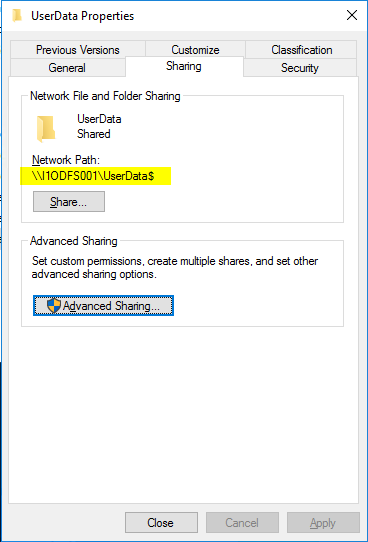 Click OK again on the Advanced Sharing window and now in the Properties windows in the Sharing section, you'll now see a Network Path for the share. 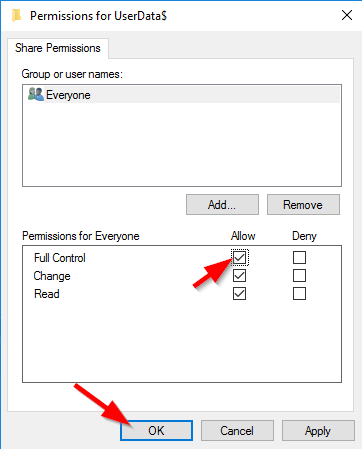 Take note of this path since you will need it when creating the group policies for folder redirection. 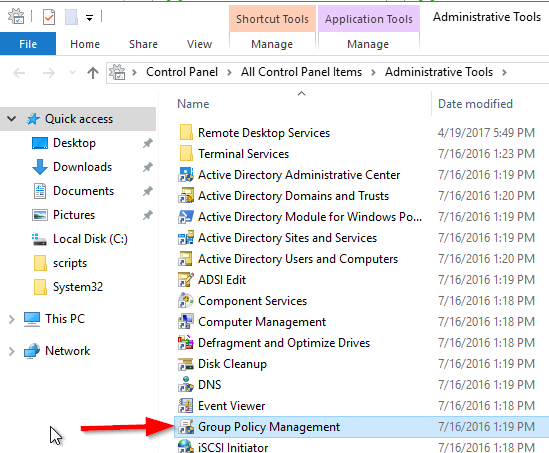 Once the Group Policy Management console is open, expand the Forest, the domain and right click the Group Policy Objects container and select "New"
A new window for the New GPO will come up. 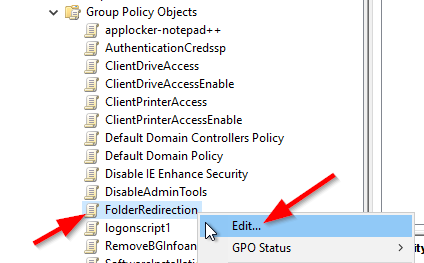 In the Name text box give the new GPO a name and click OK. For this example I named the GPO "FolderRedirection"
Right click the GPO you just created and click "Edit..."
In the settings section make sure to only have the option "Move the contents of %FOLDER% to the new location." 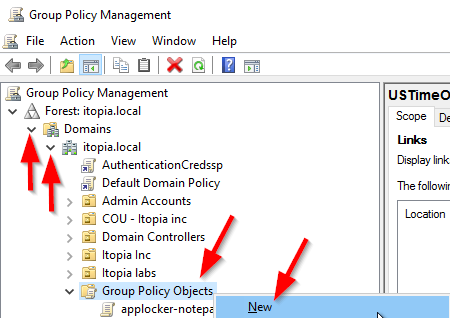 and under Policy Removal select "Leave the folder in the new location when policy is removed." 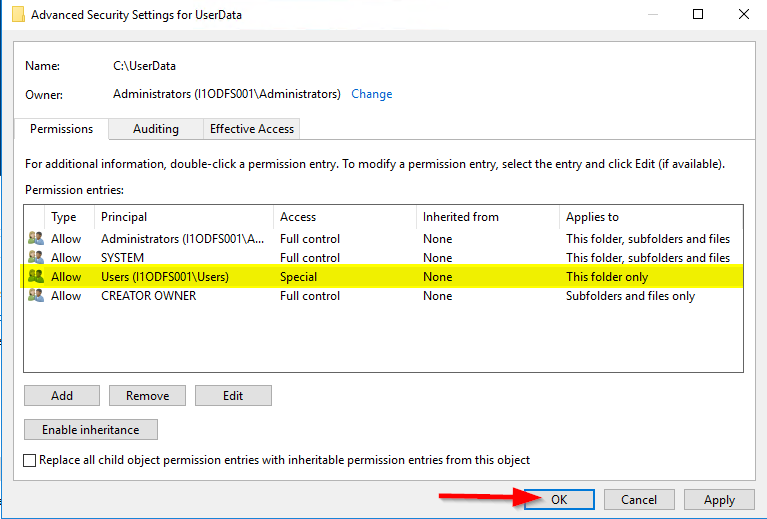 and click OK. Leaving the option to grant the user exclusive rights to the folder unchecked will allow admins to browse to the users folder in case you need to assist in finding data or any other request. 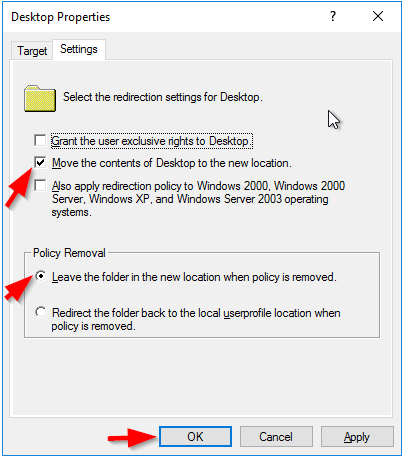 Repeat the steps above for all of the folders you wish to redirect. 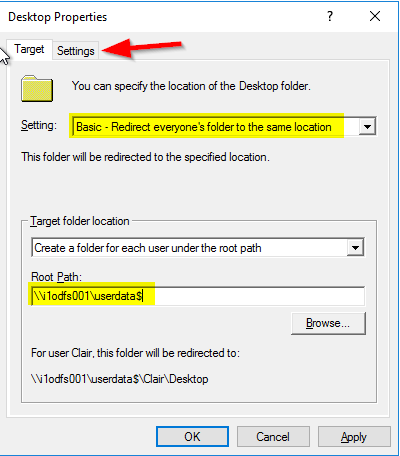 Only the folders listed under Folder Redirection are configurable and can be redirected.